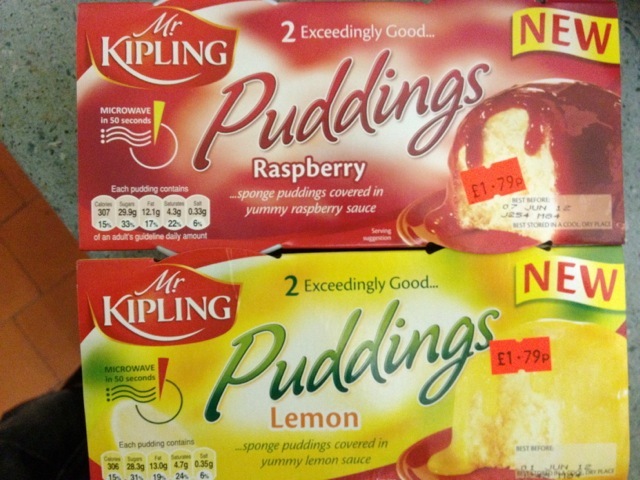 An absolute age ago I spotted a few new 'steam' puddings in my local paper-shop and decided to give them a whirl. 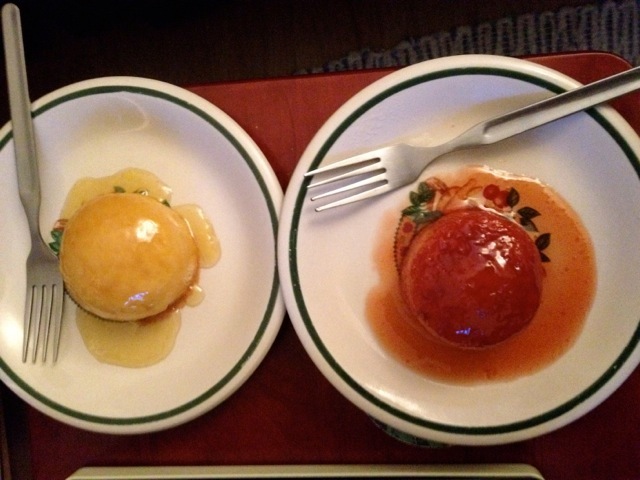 They sat in the fridge for ages, hot puddings that look a little stodgy are not what most days call for. After dinner one day I thought I'd give them a shot so put them in the microwave for the very specific 50 seconds each and then revealed them onto the plate. Smaller than I'd expected and with a lovely aroma these were not the school puddings I feared. They are very soft and moist and the sauce actually tasted of what it was supposed to! This was a shock as I'd feared that they may not be of amazing quality at 90p each. While not up to the M&S Xmas range standards these are things that could be eaten at a party without too much shame. I'm looking forwards to eating the remaining ones now and shan't wait so long to do that. The individual portions, long shelf life and interesting flavours mean that you can shove these in the pantry and add a little pudding to any meal quite easily. Purina One - Three Week 'Challenge' - Part 2!